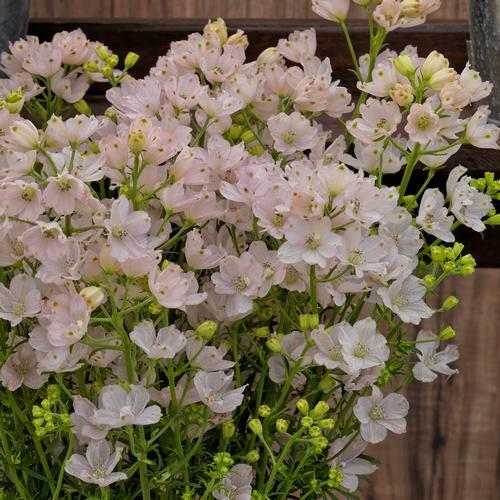 A sweet and airy annual delphinium. Star shaped single petaled flowers in a light baby pink color. A delightful addition to a cottage border or cut flower arrangement.